Spending some time preparing your home for a new dog can make the transition from rescue to home so much easier. You have gathered your supplies. Running errands on the way home with your new dog can stress your new dog. Your home is "dog-proofed". Baby gates are blocking access to rooms and places you want your dog to stay out of. Hazardous and valuable items that the dog could chew on or knock over are put away. You have determined where and when your dog will eat, sleep, potty and who will be ultimately responsible for making sure the dog is walked and cared for. For those folks who rescue small dogs or puppies an ex-pen is a life savor to manage their new dog. ex-pens are simply round wire pens that come in different sizes and heights. Those folks who rescue a small breed dog would not want to get a 36" tall ex-pen. A 36 " pen is difficult to reach over to get a dog food bowl or toy. Ex-pens can also be useful to block large entry ways or restricted areas from your pet. 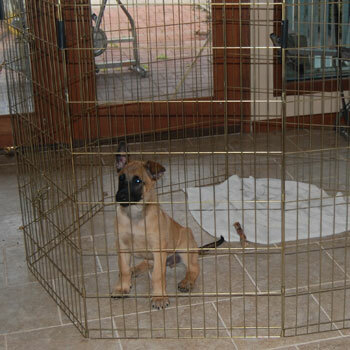 Most of the time a puppy or dog, that is not crate trained, will accept an ex-pen much faster than a dog crate. Ex-pens are bigger, they can have a dog bed and toys with them and still give the puppy or dog room to move around. When we have puppies we put an ex-pen in our living room and in many cases the small dogs will use them for up to two years. We don't want the dog to practice bad habits by climbing out of the pen when the handler is out of the room. So very important concept about using an ex-pen, with a new dog, is they should only be used when the handler is in the same room as the dog in his pen. When the handler leaves the room the dog should come with on a leash or be put into a dog crate. It is our opinion that every dog should be crate-trained, even dogs that are 110% house-trained. We need to teach our dog to accept crate time and not get stressed if we have to use a crate. We travel with our dogs. When we go to training seminars or on a vacation, our dogs travel in their dog crates. This is the safest way to handle dogs in a vehicle. It is extremely important that you choose a sturdy crate and not a soft-sided one. 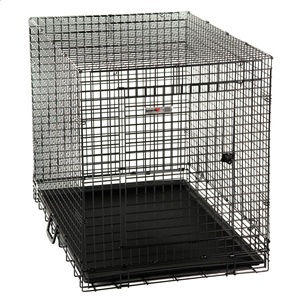 We recommend wire crates like the one you see below, or the plastic Vary-Kennel airline crates (also down below). Even if you don't feel your dog needs to be kept in a dog crate, it is still a very good idea to crate-train the dog. You never know when some kind of medical emergency will require your dog to be left at your vet, a groomer or a boarding facility. 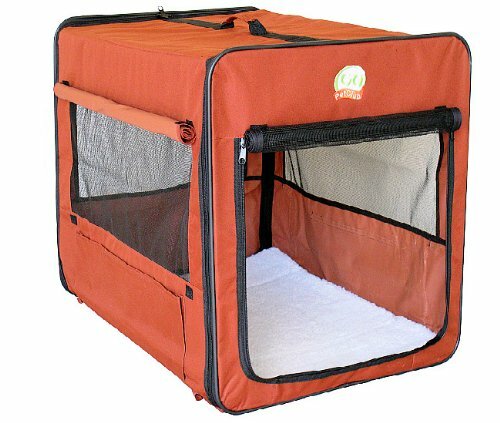 If that happens, the dog will be kept in a dog crate or a kennel run, so if your dog has been crate trained, it will stress less. These are the crates we need to use for escape artists. 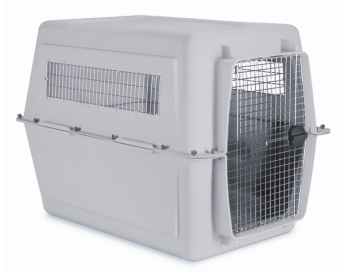 Dogs that can chew up Vari Kennels or wire crates need to be crated in these type of crates. 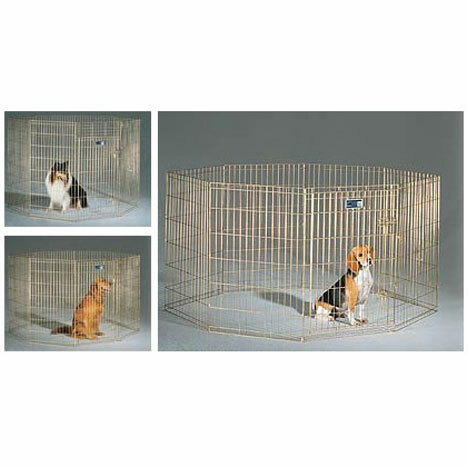 The wire crate below is not the style of crate we would recommend for dogs that are just beginning to go through a management course. They are too flimsy and easy to break out of. Having the right dog bed or better yet dog beds set up where you want them in your home makes things simpler when you first come home with your new dog. This is going to show the dog where you want them to chill out in the house. 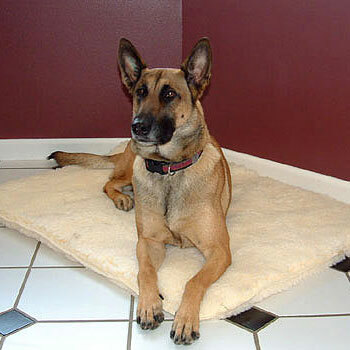 In our homes we like and use the raised Kuranda Dog Beds. They cost a little more, but they are a quality dog bed that lasts a long time. They are up off the floor, they are sturdy, easy to clean and difficult (but not impossible) to chew up. They come in 3 sizes and have different cover options. If you have ever had one a pillow style dog bed you will quickly find out that after a few months they get dirty and in many cases smelly. You can't just put them in a washing machine to clean them. 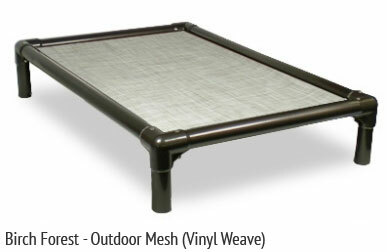 With the Kuranda bed you simply hose them down. The fact that they are raised also makes teaching the "STAY" much easier. It becomes very "black and white" for the dog to understand that his bed is where you expect him to go when you say "GET ON YOUR BED" (of course this is after we have trained that command). While on the subject of dog beds and new dogs. We will discuss the training later in the course but it should be noted that a dog bed is to be used when our dog is in the room with you. When we bring a new dog into our home it is on-leash all the time, including when it is on it's dog bed. The dog isn't going to chew anything up when it's right in front of you on it's bed, leave the room for 10 seconds and bad things can happen with an untrained dog. For those who chose not to use a Kuranda bed the next best thing are these faux sheep skin pads. The are soft, and most importantly they can be washed in a normal house hold washing machine and dryer. They clean up beautifully. We actually put them on our Kuranda dog beds. 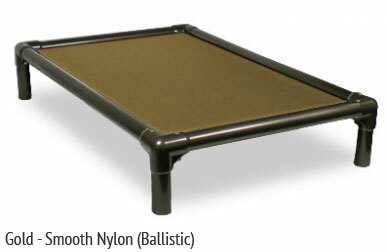 They stay cleaner and because the dogs like how soft they are they like getting on their bed.